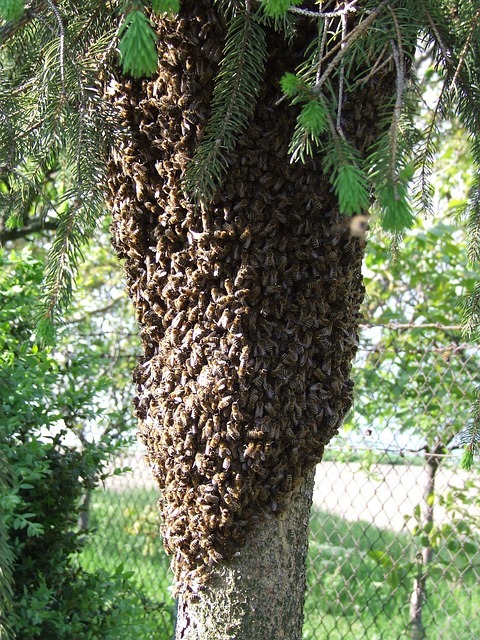 A Swarm Of Bees Or Wasps In The Garden! What To Do? 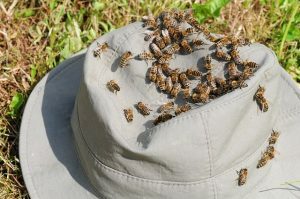 The honeybee, the most common in Belgium, is striped brown and a dull yellow. The wasp, it is hairier and has black stripes and a bright yellow. Size issue, both insects, measure about 15 mm. Their buzz is not the same, but you have to be initiated to differentiate it. A reliable index to differentiate them is the food they covet. Everything attracts the wasps: meat, fish, sugar Bees, they only drink the sweet liquid, the nectar of flowers or your glass of soda. Tip when you are on your terrace: It is always better to empty the cans of soda in glasses and take a look before swallowing: a wasp or a bee can eat there. Beware Of The Wasp Season! The sun is shining, it is hot, and the plants in the garden are in bloom. June is the time of year when wasps arrive; it’s set like music paper! From spring to autumn, the wasp season lasts a long time. Wasps are currently building their nests. When the ladies wake up in the spring, they want to start looking for a new home. Now that the new nests are still small, the time has come to remove them. Indeed, now you run little risk of getting stung. In the middle of the summer, the nests are much bigger, and they have many more inhabitants, who are irritated easily when you want to eliminate their nest. But one thing is already sure: we must treat the wasps with respect! A wasp sting can have serious consequences, especially if you develop an allergic reaction.